andyhorst3, isco, Iceman92 and 8 others like this. The idea of a black/infrared VI is always exciting at first. After the dust settles it always seems to let me down. They were close on the last retro. I’ll reserve judgment until I see them. I want the correct shape, tongue length, and color to be correct or I can’t do it. This brand has to bring it correct to get my money. tomlinbrowne, pirateslaw, pudge110 and 3 others like this. NipseyRustle, toneloc2002 and SlamShut like this. JUST read about this.. hoping its a slam dunk (pun intended or not lol). I wore my 2014 pair like 2-3 times. gorightthru4msu, greatabyss43, marztharealist and 3 others like this. I’m in. Just give me one pair. Y E S ! ! So hype.. need NA Carmines as well! Iceman92 and marztharealist like this. You and everyone that drools over them can have them. 9/10, unreleased samples are WILD OVERRATED. 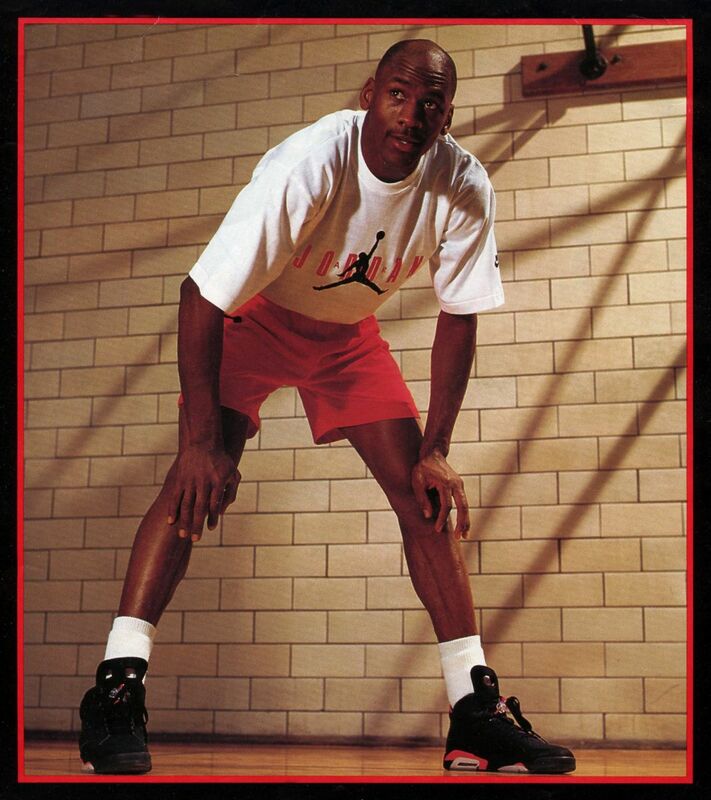 Only one can dream Nike will revive them like how it was in the past. D_eezus, B$mart1234, roboski and 24 others like this. Yep. I passed on all three, and if this one is the same I will pass on these too. Gordonson and marztharealist like this. One thing that they got right was the 3m in the side panels and the attempt at nubuck/ankle sheen thingy. I hope they bring that same energy this go around. beh235 and marztharealist like this. peekthasneaks, putting in work, 1d the nt og and 3 others like this. Jordan first wore these in the 1991 All-Star game in Charlotte. Only makes sense they make a return for the 2019 All-Star game. Might be asking for to much but if JB can give us that OG tongue height. jumpman cbt2, marztharealist and 05fordgt like this. While I need a proper retro of these . I hope we are still getting the Bred 4 All Star Week . marztharealist, franknbeans and kickconnoisseur like this. bbombers85, B$mart1234, tjmmsr and 14 others like this. Ready for these, never have owned them. Definitely needs to be apart of my collection. As long as they ain't infrapink, I'm in. R&B and killaking like this. Wait, so when are the 4s releasing? UcanGettha20124, Iceman92, marztharealist and 1 other person like this. ineedacape and elijahels like this. My 2014s are still in great shape. The infrapink is pretty annoying. but don’t see myself needing these, even with the NA or right shade of infra.